Gold Factory is a 50 line from Microgaming with a fantastic theme of a Factory that makes gold. The game has a unique style of bonus where you have the chance to win free games as well as instant prizes with a pick a box bonus. 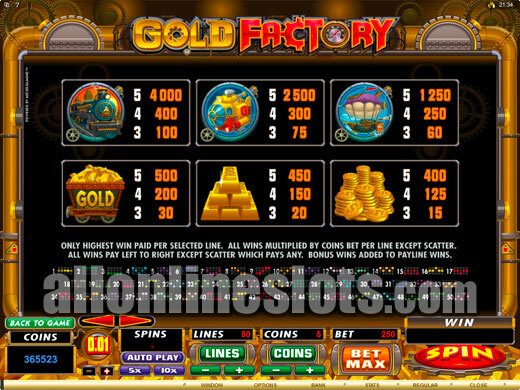 Gold Factory is a 5 reel, 50 line slot machine found at all Microgaming online casinos. 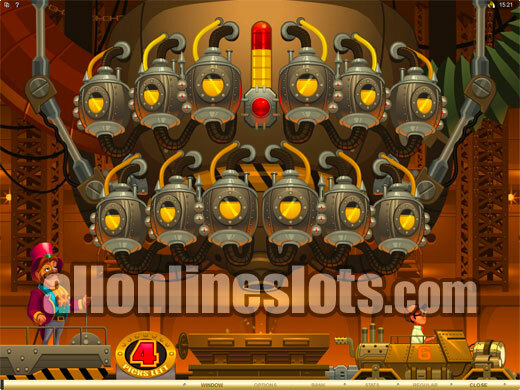 The game has a fantasy theme that reminds us some what of a famous fictitious Chocolate Factory. The theme works well for a slot machine as most players are looking to make gold out of their time spinning. The game has wide betting limits with a max bet of a big 1,000 coins or 20 coins per line. Coin sizes start at one cent but even at this size max bet comes in at 10.00. The good news is that you can play for less than max bet and still have access to all of the games bonuses and jackpots. Of course the more you bet per line the bigger the possible wins. On the reels, The Gold Factory logo is the wild symbols and offers the highest line win of 7,500 coins or 150,000 coins at max bet. It's worth noting at this point that the game has a dynamic pay table. The pays update as you increase the coins per line and the amount reflected on the pay table is already multiplied by your line bet. After the top pay the Factory Owner symbols offer the next highest line win of 2,500 coins. This is followed by 1,500 coins for five boy symbols and then 1,000 coins for five of the factory symbols. From there the five of a kind pays range from 800 to 80 coins. The scattered Gold Coins are the key to all of the games bonus stages. Get three or more and you move on to the Boiler Room Bonus. Here you get to pick four boilers to reveal one of three prizes. The prizes are instant wins, Free Spins and the Reactor Bonus. Uncover the Free Spins logo and you move on to another bonus screen where you have to click the button to start the machine. The two reels then spin to reveal you free spins amount. The lowest amount of free games you can win is 10 and the highest is 35. The free games cannot be re-triggered but wins are double on the free games. Find the Reactor Bonus and you move to yet another screen where you get to pick areas of the reactor until you uncover a malfunction symbol. This bonus is much like the very popular pick until stop bonus on slots like Jackpot Party. The feature on Gold Factory is one that you will either love or hate. On the positive side you can win both free spins and a great pick until stop bonus from a single bonus trigger. 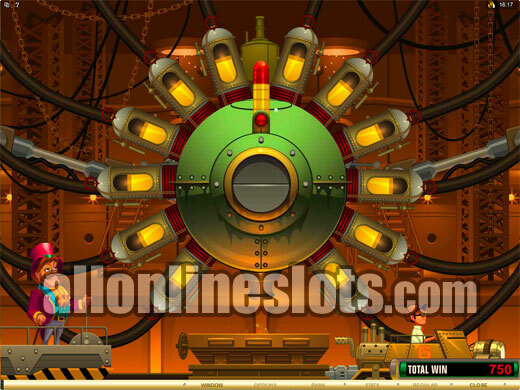 On the other hand you can also pick four items without getting to either the Free Spins or Reactor Bonus. This can make it a bit hot or miss and can be annoying if it took you a long time to get to the bonus round in the first place. Overall though the Gold Factory slot machine does offer a great theme with the usual top quality graphics, sounds and jackpots that Microgaming has become famous for.